Image Space Incorporated has joined forces with Dutch software group Luminis to create a new development studio that will continue to develop rFactor 2. One of sim racing’s major cornerstone titles is undergoing a massive change these days as Image Space Incorporated has joined forces with Dutch software group Luminis to create a new development studio that will continue to develop rFactor 2. 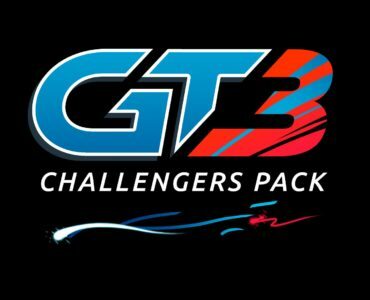 The result of this co-operation is Studio 397 (named after the most-run laps in the Le Mans 24 Hours race – 397) which will now continue to develop rFactor 2 while ISI will be freed up to continue their work on a new title internally-nicknamed “not rF3”. rFactor 2’s development will continue in Studio 397’s headquarters in Apeldoorn, the Netherlands, as the new outfit has some ambitious plans, hoping to address some of the issues that have kept rFactor 2 down in recent years. While rFactor 2 has some strong features such as solid netcode, dynamic time of day & weather as well as a sophisticated tire model, the title has been held by by infrequent content releases and and a somewhat aging graphics engine among other much-discussed issues. Studio 397 will be addressing many of these pressing issues as a Direct 11-equipped graphics engine and virtual reality support for both Oculus Rift & HTC Vive are among the first things on the agenda. Furthermore, the studio is also planning on introducing a new HTML-based user interface and more frequent official content releases. Last but not least, the new company is also overhauling the title’s branding as a new logo which you can see above has been unveiled. “We at ISI are very pleased to have found a partner that shares our enthusiasm and vision for the continued growth of rFactor 2. We look forward to working with Luminis to expand the reach of rFactor 2 both in Europe and beyond. After having worked with Luminis for some time and seeing their passion for motorsport simulation, this partnership was a natural next step. By leveraging each of our company’s individual strengths, we will be better able to serve our current customers and further expand our reach into the world of motorsports”. 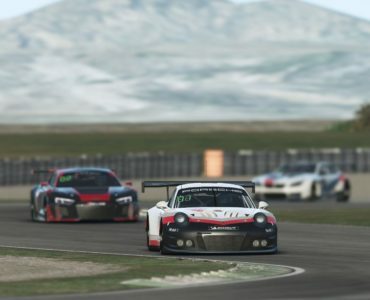 “I’m really excited by the opportunities that our partnership with ISI offers; rFactor 2 represents the best of breed, stable simulator platform in the industry. Online simracing has been my longtime personal passion, so the opportunity to combine my passion with my business feels like a great privilege. By infusing the platform with some of our own technology we see great opportunities to accelerate development in general and specifically in the areas of competitions and training”. Yup, if it gets us solid VR support I’ll pick it up immediately. Nope, never crossed my shopping cart. Not because I had anything against them, just never had a hole in my sim racing time for rF2 to fill. If they bring something to the VR table, I’ll gladly remedy that. well your in for a very pleasant surprise. As long as they do VR justice, I’m sure I will! Besides, without SimRaceWay I kinda miss TT Assen. Which is my home track and a really fun track to drive to be honest. Are you working for them and a part of their content team? if you are thumbs up. Zandvoort and the like are great for noobs because the track does to the car things noobs don’t know how to do. Once you know what you’re doing, roller coaster tracks are unnecessary unless you’re driving something lame like fwd. I like the new logo. But I really hope that the reasoning behind the name points to some official content down the line. DX 11? Why not go the whole hog and opt for DX 12?. DX12 restricts them to Win10 only. With the fuss when they moved to Steam, I’d hate to see the reaction if they announced that Win7 and 8 were no longer supported. The other question is why not go the whole hog and opt for Vulkan, but the answer to that one is that to the best of my knowledge Vulkan VR support isn’t anywhere near as mature as DX11 thus far. Fair enough. But to be honest I find windows 10 great, and honestly, I wouldn’t go back to to 7 or 8 now. Time to move on, but I’d love to know how many people are still on wndows 7 and 8 in comparison to 10 in 12 months time. Windows 10 has 47.44% user base according to Steam August 2016 survey, so over 50% are using non-DX12 OS’s. By the time this comes it will be the other way around for sure. It’s not the OS but more like GPU supported DX12 market share isn’t there yet. Than it’s still 45% of the customers that won’t be able to play it. DX12 support doesn’t mean people can’t play it, it just means they won’t be able to play it in DX12 mode. Unless they drop Dx11 support, so it depends whether the suggestion is adding Dx11, or replacing Dx9. They wouldn’t drop DX9 support as there is no reason to do that. Depends why they’re adding the newer DirectX. If the features it enables are Dx11/12 only and mandatory, they need to drop Dx9. If they want to add a mandatory feature, and don’t want to develop it for both Dx versions (like iRacing and dynamic lighting), that’s another reason. They won’t need to. They will essentially just make it like it is for other games where DX9 mode will stay how it is now, and DX11 or 12 mode will be optional. There is no reason for them to yank out a perfectly good system. Again, it depends what they want to do with it. iRacing is phasing out Dx9 soon, because they’re working on their dynamic lighting system and don’t want to have to write it for both engines and it’s not something that can be optional. I don’t know if rF2 has anything coming down the pipe like that. Also for VR it’s impractical to keep DX9 mode available, if they want to make the game really VR friendly they should remove DX9 entirely. Either way there is no reason to keep DX9 when you have DX11, modern GPU’s only disadvantage from using DX9. DX12 from my understanding is very different than DX11, so it would make little sense to code the game for both DX11 and DX12, as that would likely increase the development time significantly. A DX12 exclusive game means you cannot play it on a DX11 OS. Thats assuming they don’t keep DX9 mode. I don’t see why they would drop DX9 mode to implement DX12. Even if they assume half are using DX12 OS’s, those with a DX12 OS without a DX12 card are a pretty good number. I think its fair to say the number of people using pre windows 10 is much more than that. If you factor in the fact that most Steam users could be classed as power users who always want the most recent of everything. Graphics engines tend to take a while to gain traction, because consumers are traditionally slow on the uptake. Just look at how many games still use Dx9, even though Dx11 is 7 years old and available on Win 7 and up. Bear in mind, Dx12 only launched just over a year ago. The only games likely to jump on Dx12 right now are the ones pushing the boundaries of rendering who both need the additional performance and expect their players to be running the latest hardware. ‘Vulkan Next’ will support all VR devices. Vulkan would be nicer but few people seem interested in putting the work now for the much larger benefit. And dx12 is only on windows 10. OK, now calm down, have you had too much pop to drink and feeling a bit hyper? as you’ve responded to a few people all in a matter of minutes without regard. Rf2 is not your favourite sim, I get it. Yes, but this is the internet. Somewhere there is somebody that’s wrong and Kev obviously feels a need to do something about it. I guess i will have to wait and see what happens in regards to further development of rF2…like the new logo, distinctive and fresh looking. VR support woohoo! Can’t wait for that to show up. I simply cannot wait for all the VR spazzes to discover all the outdated content. Don’t get too excited. Why do you feel the need to insult people for no reason what so ever? are they about to move into a realm of using computers with specs that many will not be able to afford, thus pushing many out of the sim community in the process. No, just make it look like a more modern game. things move forwards. They shouldnt HAVE TO build to target people using $200 PC’s that were top of the line in 2001. I wouldn’t think so, unless they continue with the excuses that rF2 needs more processing power for whatever reason. But AC runs great on my GTX 760 with more frames and under Bandicam etc. so hopefully performance will IMPROVE. Maybe they’ll make it backward compatible with the Amiga and the Commodore 64. Without VR support I had given up long ago with rFactor 2. So, this is great news. rFactor 2 has great promise and has features not seen elsewhere so fingers crossed that this new arrangement can fulfil that promise. look what happened to RRE! 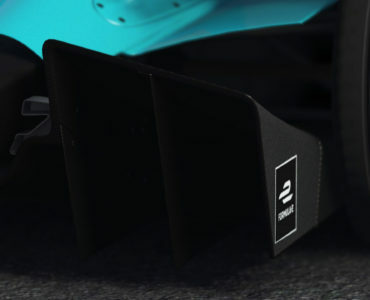 But i have to say, i don’t like the logo, really hard to identify RF2 there, I barely can read it, and somebody who don’t know what it is would never know, it’s really unclear, very bad color selection, red/cyan, too big, too many layers mixed. Original colors are the RF2 mark, I would put “rF2” (the r, not the R), as I think it separates from other letter code brands as RF2 looks like a guitar wire model. Development gets really, really close to home now. ISI was too niche and small I am glad to see the expansion and the move to join the real world and the reality of big business!